Makarska Riviera is a synonym for many beautiful, kilometers long beaches. Among all of them we've singled out for you Punta rat beach in Brela. It's a pebble beach with a shallow, sandy entrance to the sea. Moreover, it's surrounded with pine tress which provide thick shade even during the hottest hours of the day. Another great refreshment source are of course many restaurants and bars dotted in close vicinity. Deciding on the best beach in Crikvenica Riviera turned out to be as hard as the year before. Sandy beach Crni molo in Crikvenica and Poli mora beach in Selce eventually distinguished themselves as our top favorites. Shallow water of Crni molo is both a great refreshment and a daily site for water aerobics classes. 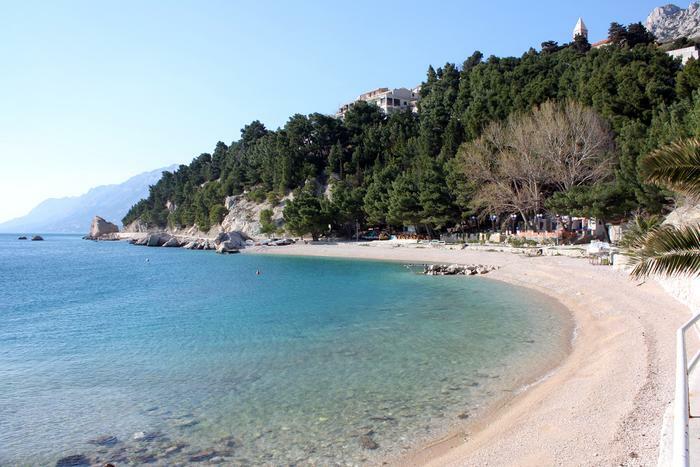 On the other hand, Poli mora beach nests in a beautiful, crystal clear cove in the center of Selce village. There's a great offer of water activities and, what's even more important, the beach is adapted for people with disabilities so everyone can enjoy the sea and have fun all day long. 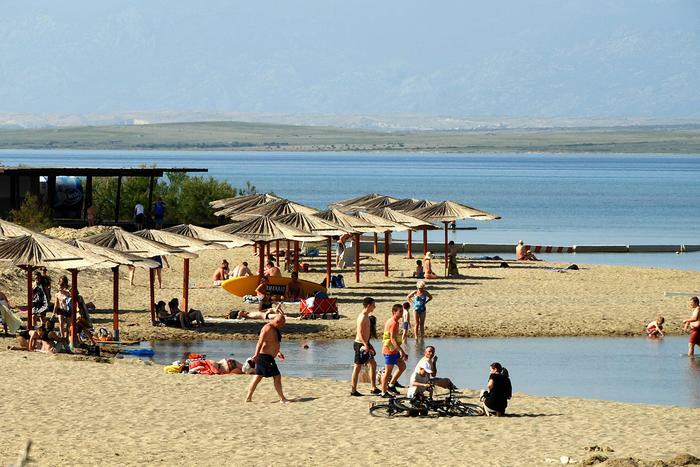 Dražica beach is situated at the very heart of the town. It stretches along the thick pine forest with a nicely arranged coastal promenade. It's covered with small smooth pebbles and has a great offer for your youngest ones: a small amusement park with a toboggan slide, bumper cars, water slide, a trampoline... For the grown-ups there's a row of quaint coffee shops and snack bars. And last but not the least, a Blue Flag proudly waves at this beach year after year. 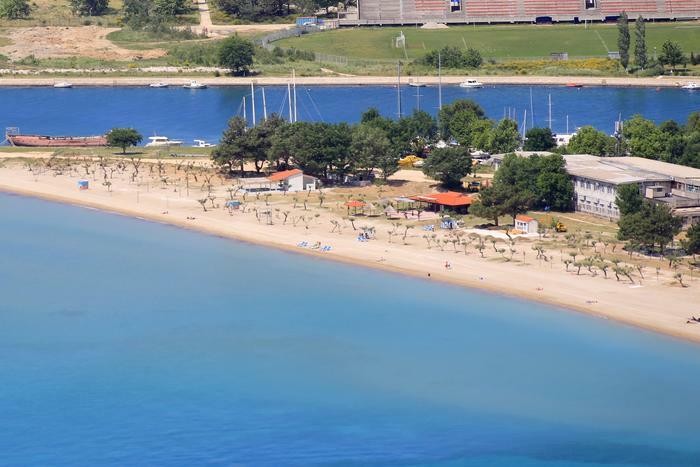 Zaton, in close vicinity of Zadar, offers you a 1.5 kilometers long sandy/pebble beach. Due to its shallow water your young ones can enjoy sea as much as they want. Moreover, they will be supervised by both lifeguards and an experienced animator who'll provide them with beach games equipment and a lots of fun, educational activities. So in the meanwhile all you have to do is relax in the thick shade and be at peace knowing your loved ones are in safe hands. Besides all this the beach also has a Blue Flag, international eco-label given to beaches and marinas promoting sustainable development and water quality. 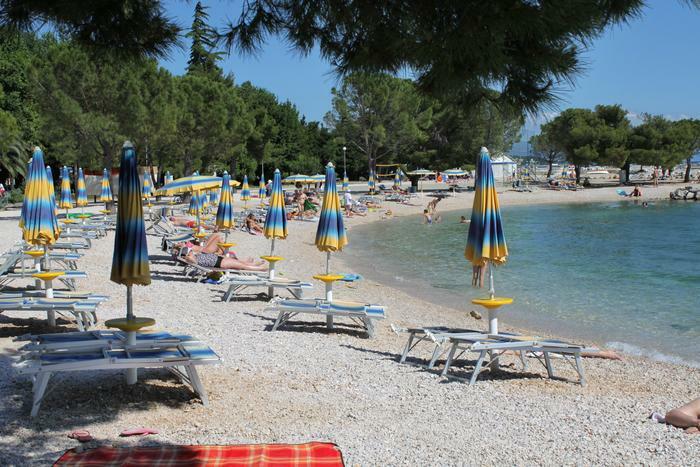 The main beach Vela Plaža is 2 kilometers long and situated at the heart of the settlement. This pebble beach with naturally tumbled smooth stones is enjoyed by thousands of bathers every year. Besides a Blue Flag, the beach also features a specially designed entrance, shallow water and crystal clear sea where you can always sea the bottom. 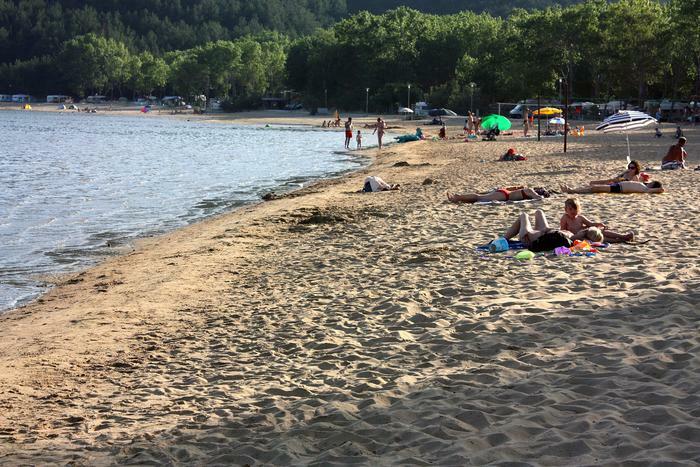 Due to all this Vela Plaža is more than suitable for kids and nonswimmers. Moreover, you can find refreshment in the surrounding coffee bars and restaurants, and if you're looking for some summer fun there's a wide offer of activities. Nearby there's an amusement center with water slides and array of games. You can also rent a pedalo, windsurf board, parasol or a deck chair to make your beach time even more pleasant. 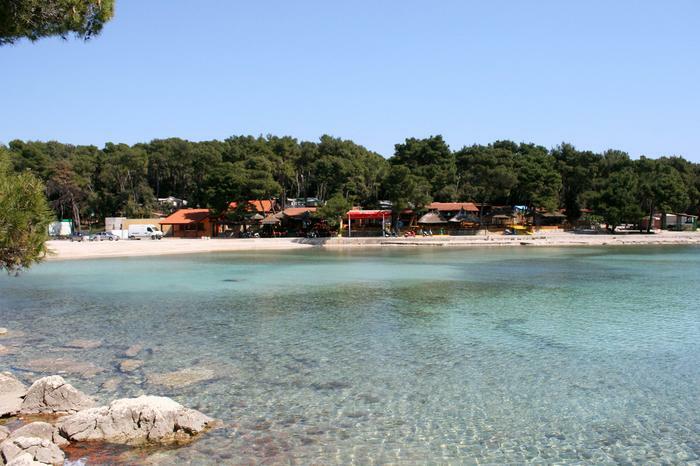 Trstenica is a pebble beach with a smooth sandy entrance to the sea which makes it specially suitable for kids. Once there, you can rent all kinds of water sports equipment, deck chairs and parasols. However, there's also a thick shade of surrounding Mediterranean trees which offer you a natural sun-screen. 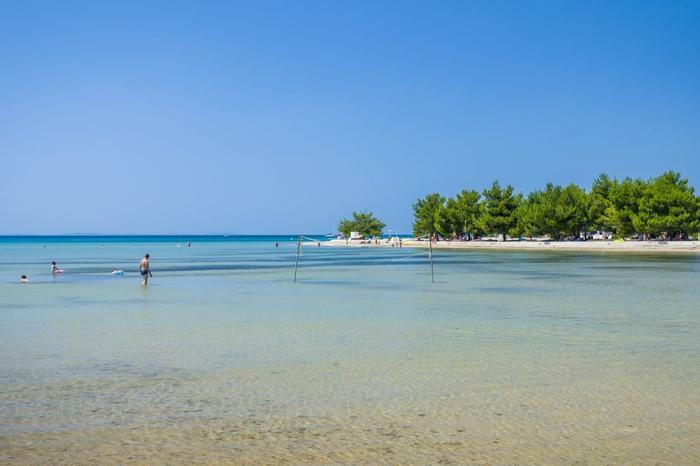 This long beach with a comfortable sea entrance attracts many people during the high season so the sooner you find your spot under the hot Orebić sun the better. Nin lagoon, also known as Queen's beach is a long sandy beach ideal for families with children and elderly people. It's famous for its medicinal mud which has been used for treatment since the Roman times. 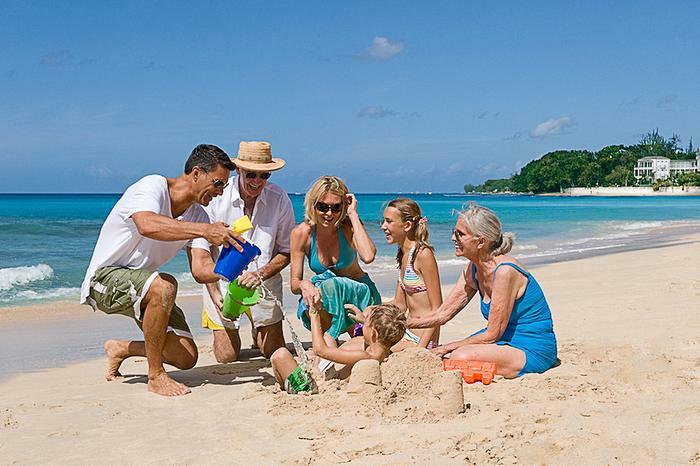 At Queen's beach kids can enjoy warm shallow water and build castles in the sand. City beach is the main gathering place during the summer. One kilometer long, clean and well arranged, it offers many summer activities. Kids probably like it primarily because of the sand deposited by the nearby river Cetina. Parents, on the other hand, feel at peace because of its hundred meters long shallow water and enjoy numerous restaurants and cafes located on the beach. With its 22 sandy beaches, Lopar is a must destination for everyone looking for a real holiday treat. 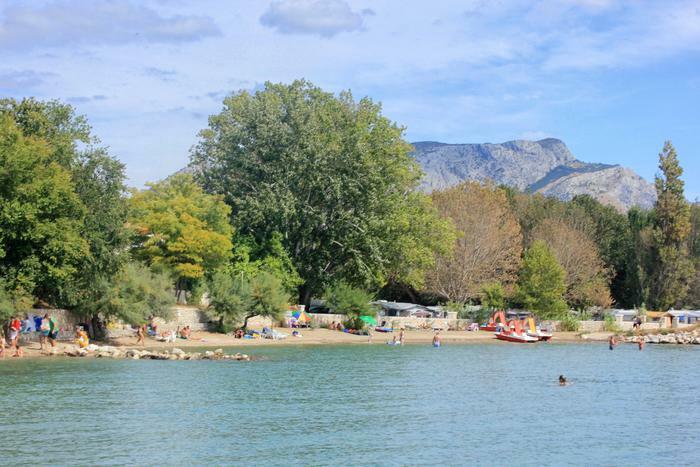 Swimmers concerned about their safety can relax because shallow and warm water of Lopar's Rajska plaža beach make it especially suitable for kids and inexperienced swimmers. 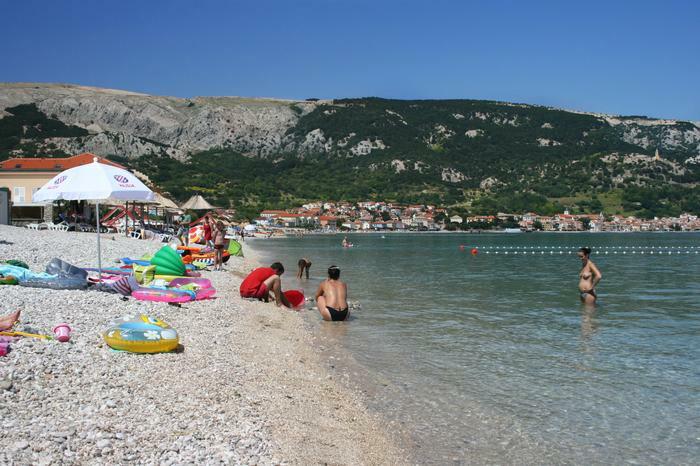 Kilometers long Duće beach in close vicinity of Omiš attracts both children and adults with its soft sand. While grown-ups enjoy the local game of picigin or volleyball, kids play in the sand, building sandcastles and ''baking'' sand cookies. Due to its wide shallow water both nonswimmers and young kids can enjoy summer and the sea to the full. The beach is surrounded with trees which provide thick shade even during the hottest hours and if you're looking for some refreshment there are numerous bars and restaurants dotted along the beach.